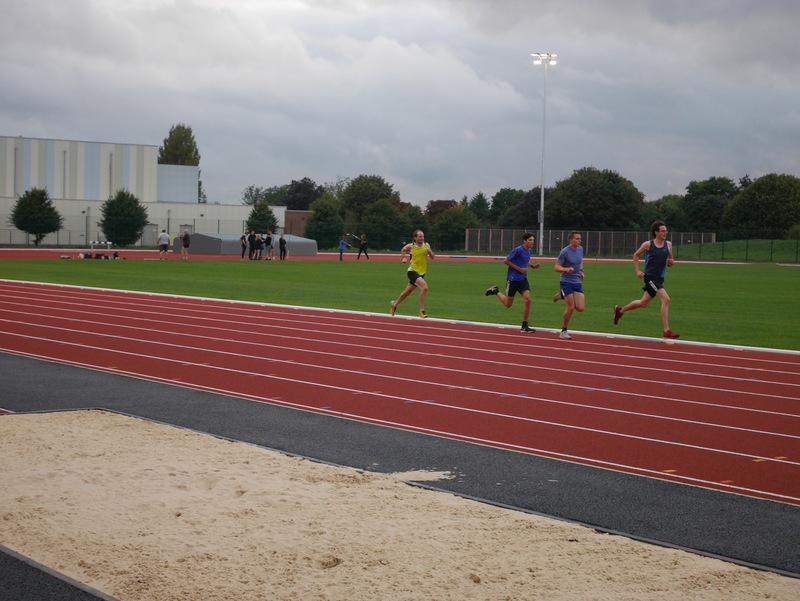 This evening saw the first club session at the new facility at Waterside Drive, which went well, with athletes reporting a firm, fast surface with sweeping bends- it feels (and looks) fast! At this stage, only a small number of athletes are using the facility on a trial basis until we have fully sorted out access, other logistics and transfer of equipment. 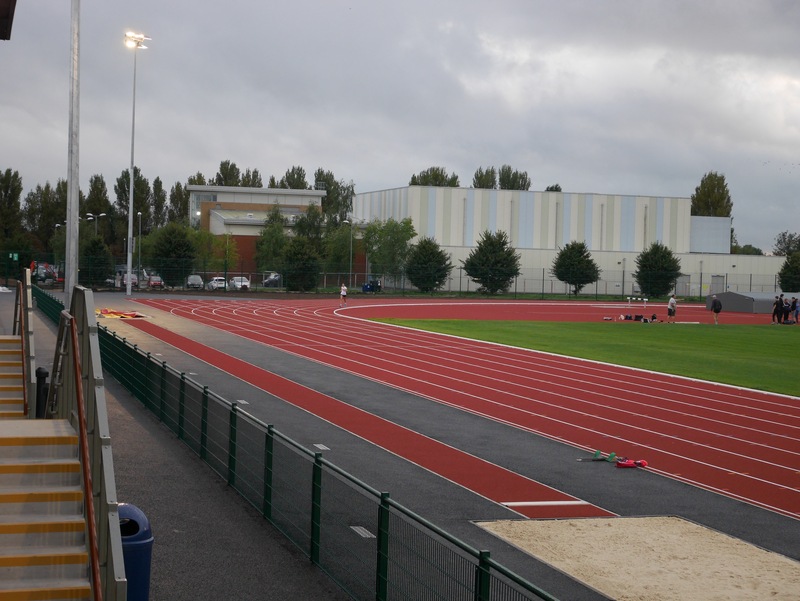 We understand you are all eager to get your feet on the new track, and we ask that you are patient, as groups are gradually migrated into the new facility and the kinks are worked out- please talk to your coach, who will have further information. 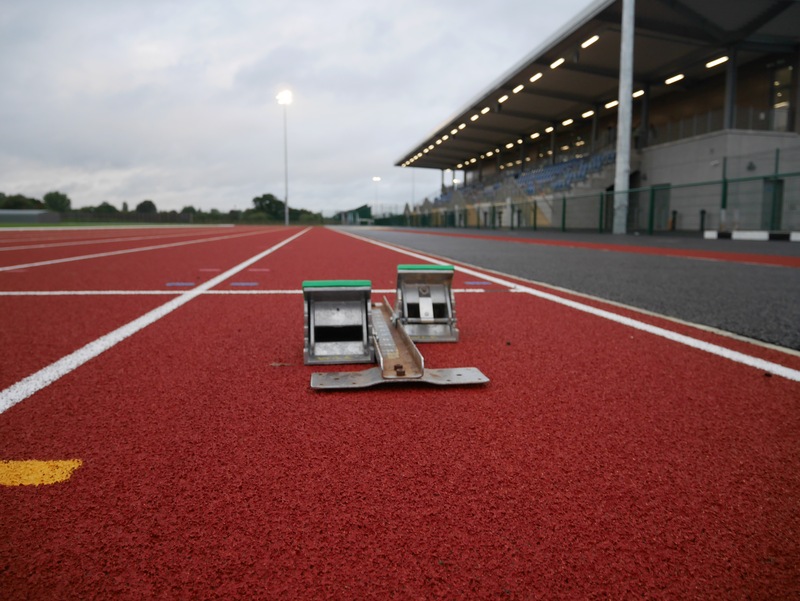 Additionally, we are still in the process of confirming access arrangements for the track outside of club training sessions, and will publish further information as soon as we have reached a full agreement with Places for People. As you know we have to vacate Stompond Lane over the next few days. 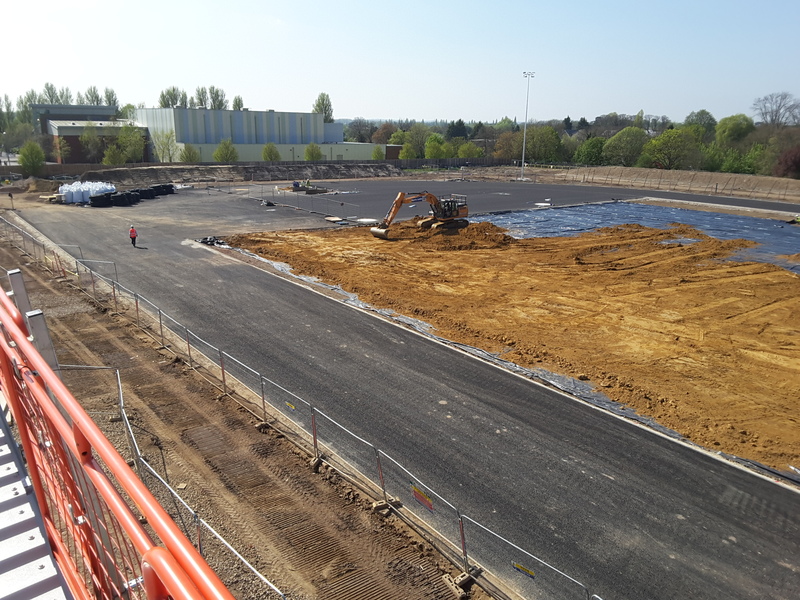 Development continues on schedule at Waterside Drive and we expect to start using the new facility in September. In the meantime, Elmbridge BC have arranged temporary alternative accommodation for us. Please talk to your coach to determine where and when group sessions will be held for the coming months. 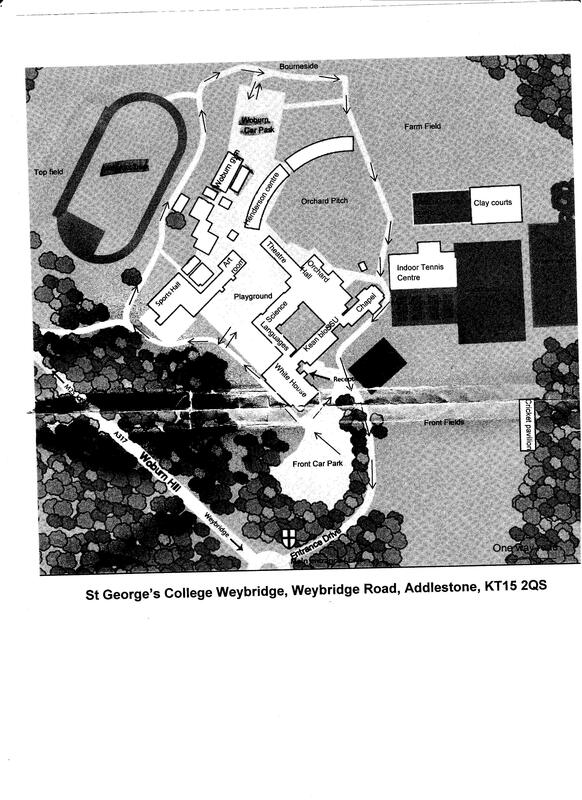 The main site we will use is St George’s College in Weybridge. We have the use of the track and field at St George’s on Mon, Tues, Wed, Thurs from 6.30 until 8.30 and from 9 until 1 on Sunday. There are limitations to the facility at St Georges and some restrictions on what we can do. There are no floodlights which should not matter unless Waterside Drive is delayed. We do have use of the high jump and long jump and hurdles as well as the track and throwing facilities. There is no water jump or steeplechase barriers and no pole vault. There is no changing accommodation and very limited toilet facilities. We are not allowed to enter the site until 6.30. We will use the Woburn car park, marked on the map here, and follow the one way system show on the map. There is a strict speed limit on site. We will also have use of Ansell Hall in Oakbank Avenue, Walton for indoor sessions. As foreshadowed in the AGM announcement sent out earlier this year, Elmbridge Council requires the Club to vacate Stompond Lane prior to the completion of the new facility at Waterside Drive, scheduled for completion at the beginning of September this year. We have endeavoured to remain at Stompond Lane as long as possible but have now been informed that the Club must vacate by 24 April. Following this, facilities for training will be available at St George’s College (in Addlestone), at certain times. We are waiting for confirmation of certain details from the school which should be provided once term re-starts after Easter. A further announcement with more details will follow. Please also contact your coaches or team managers for further details on planned training times and locations. Walton AC operates under codes of conduct that apply to all athletes, coaches, officials, parents/carers and team managers. The latest codes of conduct that were approved at the Annual General Meeting can be accessed by clicking on the links below.